Is Ken Yeang's brilliant landscape architecture sustainable? Or is Ken Yeang’s landscape architecture subject to the same criticism as Patrick Blanc’s green walls? I would of course be much happier if these approaches to landscape architecture were genuinely sustainable. But I have my doubts. My guesses are (1) the planted balconies will be great features for wealthy residents who have more than enough indoor space (2) less-wealthy residents, especially in inclement climates, would rather have more indoor space than a big balcony, though sliding doors would offer the choice of indoor or outdoor space (3) the extra habitat space will do a little good for biodiversity, accoustics, carbon balance etc (4) but all these benefits could be obtained at less cost by other means (5) real people would not produce the nice green fluff on Ken Yeang’s drawings: there would be no visual unity at all to the balconies. Some would be richly planted. Others would provide storage for mountain bikes, or washing lines, or bird cages, or plastic furniture and dead plants in ugly containers. That’s life. So I am a sceptic who hopes to be proved utterly wrong. This entry was posted in Asian gardens and landscapes, context-sensitive design, Sustainable design on 31st March 2011 by Tom Turner. 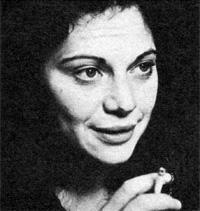 Passing time on the web, I discovered that a long-lost friend died in 2009: Anna Mendleson. it will not be mine to decide who are the damned and who the saved. This entry was posted in Uncategorized on 22nd March 2011 by Tom Turner. The problem is not so severe in Buscott Park, but I have noticed that in Greenwich Park more photographs are taken of the squirrels than of the flowers or the scenery. 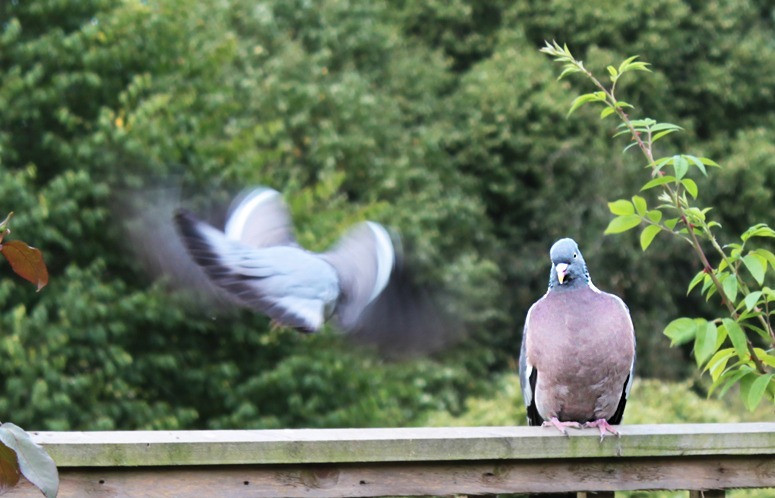 Are garden designers missing a trick with their comparative neglect of the animal queendom? This entry was posted in Garden Design on 19th March 2011 by Tom Turner. Clean: but is it green? 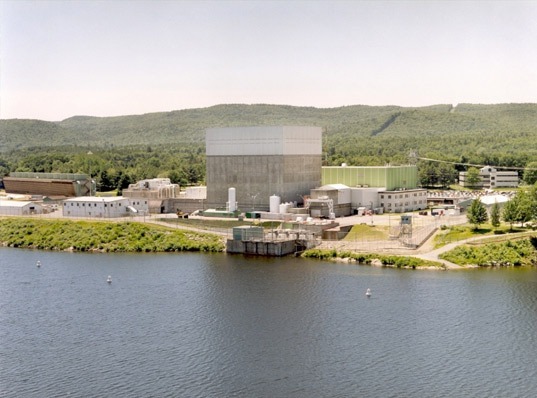 Vermont’s thirty eight year old Yankee Nuclear Reaction is scheduled to be shut down in 2012. The main cause of concern is the leaking of tritium which is linked to cancer. The life expectancy of nuclear power plants is forty years. Seventy five percent of all current nuclear power plants are in the second half of their expected life span. Machinery breakdown in the differing reactor designs is the major cause of nuclear insurance losses. Loses due to fire most frequently occur around six years of age. Beyond the design of nuclear power plants and their landscape surrounds is the question of the disposal of nuclear waste. How confident are designers, engineers and geologists of the long term safety of nuclear waste storage strategies? 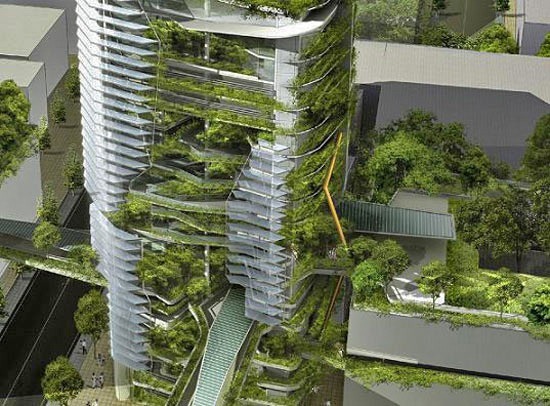 This entry was posted in carbon cycle balance, context-sensitive design, Landscape Architecture, Sustainable design on 17th March 2011 by Christine. 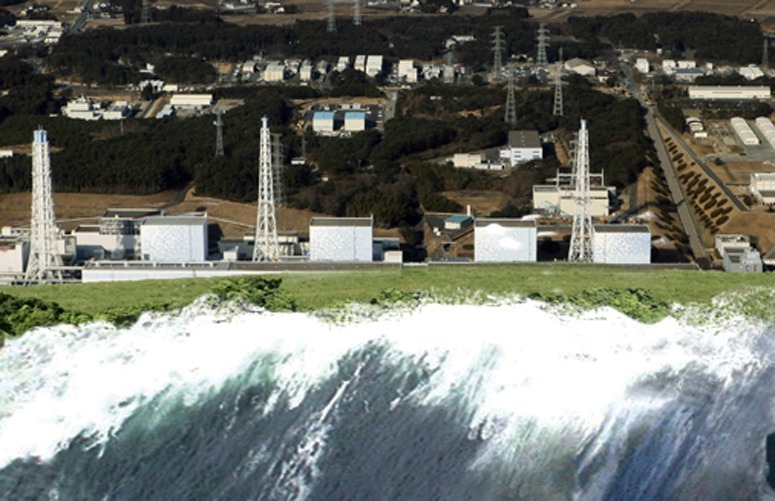 Can landscape architects make a contribution to the safety of nuclear reactors, like Fukushima? With much sympathy for the plight of North Japan, I make the suggestion that the Fukushima Nuclear Reactors might have been much better able to resist the force of the Tsunami if there had been a 50m+ planted grass mound between the four reactors and the sea: (1) it would have cost very little money in proportion to the good it might have done (2) it would have made the Fukushima site more beautiful, because most industrial clutter is at ground level (3) it would have had ecological benefits (4) the earth might have been of use in an emergency. So if any of our readers manage coastal nuclear reactors and would like help with the design of a protective bund, please use our contact form and I will find a former University of Greenwich landscape architecture MA student to do the job for you: there are few countries without them. If the above suggestion is impractical, they will be able to help you with energy saving through sustainable landscape architecture and planning – so that your country will have less need for nuclear power. 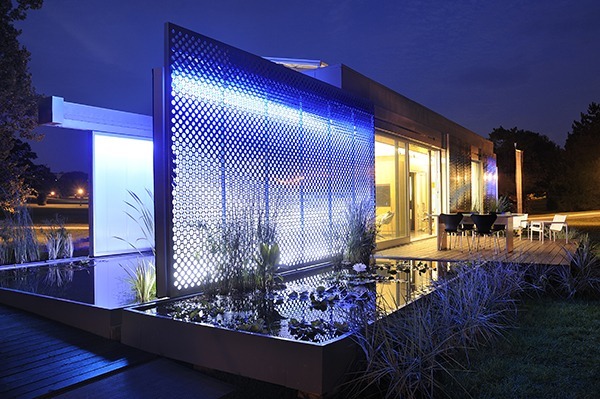 This entry was posted in Asian gardens and landscapes, landscape planning, Sustainable design on 15th March 2011 by Tom Turner. Turned upside down land-scape becomes sky-scape. So what happens when the city meets the sky? 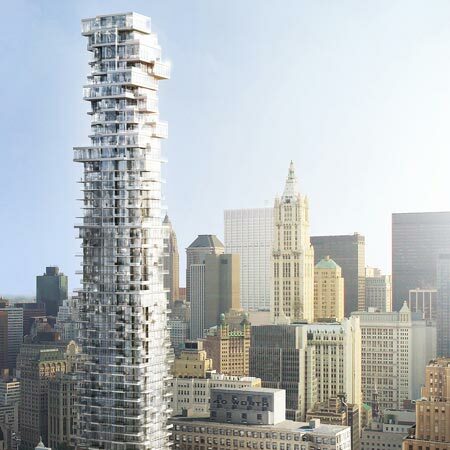 56 Leonard Street by Swiss architects Herzog & de Meuron disrupts the orderly rhythm of both the street-scape and of the skyline of New York with its jagged form from base to crown. The base of 56 Leonard Street is firmly part of the city, while the crown of the building challenges the city limits: the blue space. Another blue space on the edge of cities is the coastal edge. The NSW government have included guidelines for protecting coastal edges near settlements. At the limits of the green space of southern Californian cities according to biologist Paul Beier is cougar territory. While in Lincoln County efforts have been made to have developers include tree plans in their development applications (with fines for non-compliance). This entry was posted in context-sensitive design, Landscape Architecture, landscape planning, Sustainable design, Urban Design on 15th March 2011 by Christine. How should a city meet its landscape in the twenty-first century? 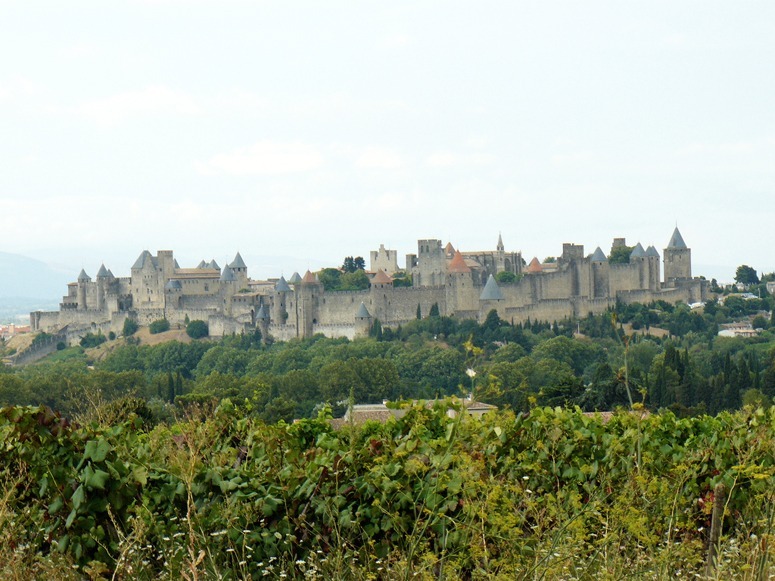 The separation between City and Landscape was very clear in the Middle Ages: the city stopped and the landscape began, as in Carcasonne. This was the relationship in Europe, India, China and elsewhere. Twentieth century cities learned to sprawl. The city centres were dense enough, but the suburbs often had too much wasted land and the surrounding countryside was littered with so many lumpy buildings that it came to be called Nowhere Land. So what should we do in the twenty-first century? Some of the problems are (1) putting limits on city size has proved impossible (2) poor people always want to move to cities from the countryside (3) rich people, in Europe and America want to move from city centres into the countryside. My answer to the question at the head of this post is: define greenspace as ‘landscape infrastructure’ in advance of city expansion. McHarg-type landscape assessments should be made of the land around cities and long-term designations should be made to create an extensive web of land on which no building will ever be allowed. My guess is that the web will be based on (1) the existing pattern of rivers, streams and ditches (2) skyline ridges. Urban edges should be defined on the margins of this future greenweb and these margins will become the future equivalent of medieval city walls. 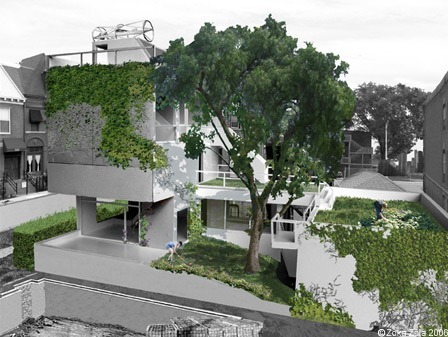 The IFLA student competition on Urban Boundaries is a welcome contribution to the debate. Photograph of Carcasonne, courtesy John Wesley Barker. 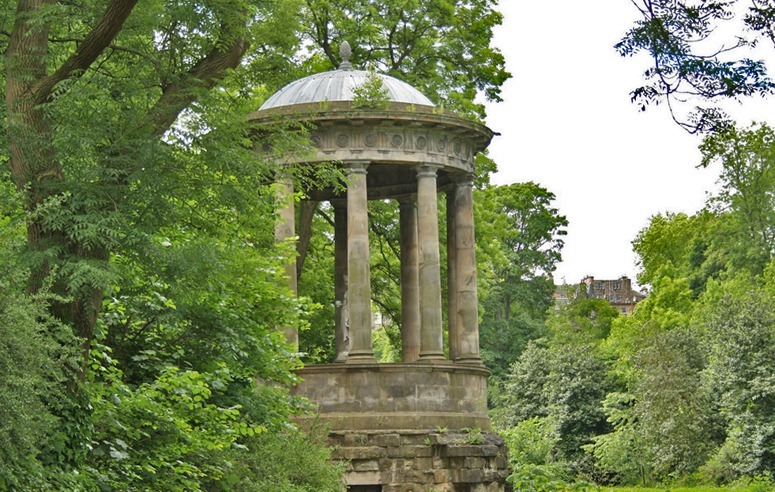 This entry was posted in landscape planning, Urban Design on 14th March 2011 by Tom Turner. 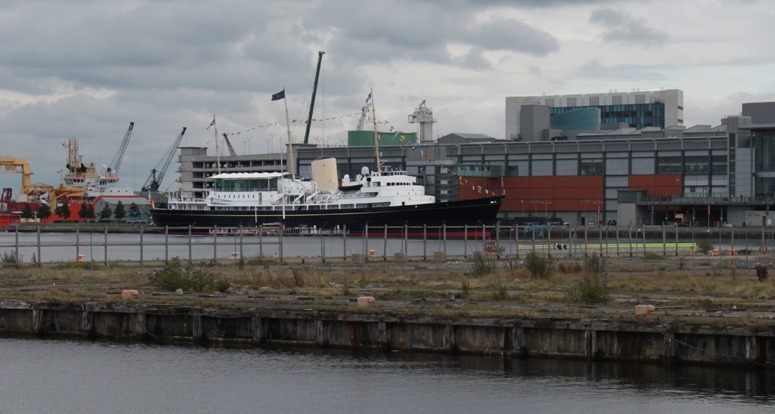 Britain’s last Royal Yacht, the Britannia, is now ‘permanently moored as a five-star visitor attraction in the historic Port of Leith, Edinburgh’ and the setting is a total disgrace. The ghastly building which dwarfs the yacht is Ocean Terminal ‘an urban shopping centre & entertainment complex designed by Conran & Partners in London and handed over to Keppie Design’. Though I am pleased Scotland has regained a parliament, I am very disappointed by its lack of design and planning vision. The nearest they have to a design policy is ‘Hey Jock, what the hell, let’s get it built asap’. That ugly slab of a building is as ugly inside as it is outside and one can imagine that the planning officers were promised a lifetime’s supply of haggis in return for mooring the poor yacht here. I would like to see a competition for finding a better landscape setting for the old lady. Where can one find the best examples of historic ships moored in beautiful and romantic settings? This entry was posted in context-sensitive design, Urban Design on 10th March 2011 by Tom Turner. Living bridges? I found a nineteenth century drawing of living green bridge in 2009 and was delighted to find that they still exist. We can see it as vernacular landscape biotecture (using the word biotecture as a contraction of biological archiecture). 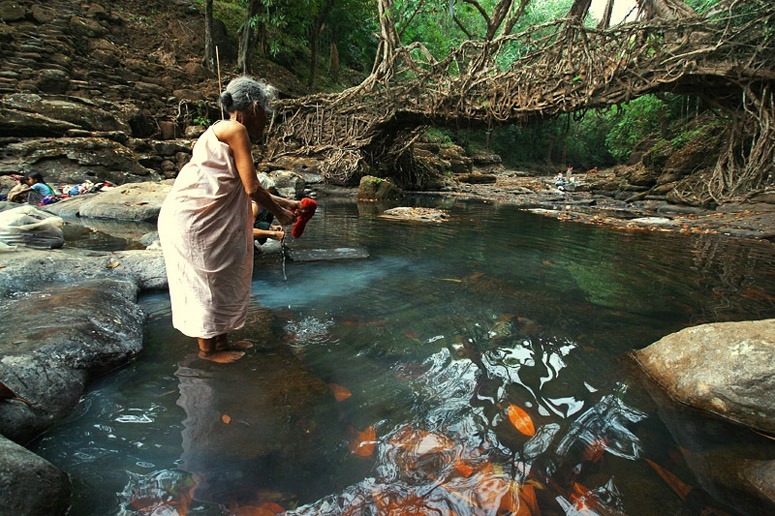 The above example of a living root bridge is near Mawlynnong in the Khasi hills, in the Indian State of Meghalaya. Before you rush out any bridge construction detail based on this photograph please remember that ‘Meghalaya’y means The Abode of Clouds. Assam is to the north and Bangladesh on the south. A village near Cherrapunji in the Khasi Hills is the wettest place on earth with an annual rainfall of just under 12000mm (ie 24 times London’s average annual rainfall of 500mm). One could attempt a living bridge with willows in England, but I think it would turn into a dam, because the branches would root into the water. This entry was posted in Asian gardens and landscapes, Sustainable design on 5th March 2011 by Tom Turner.